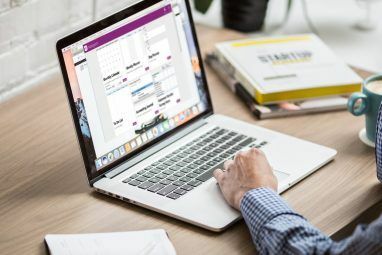 Microsoft OneNote is a great note-taking application that saves your notes in different folders for you, but you usually packages the files into the proprietary format that you can’t see in say, the mobile app for Dropbox, or your web browser. I’ve talked about several other open-source note-taking alternatives, RedNotebook RedNotebook Rocks as a Full-Featured Private Journal Tool RedNotebook Rocks as a Full-Featured Private Journal Tool Read More , which suits users looking for locally-stored journal entries in a chronological view, and PNotes PNotes - Fast, Lightweight, Open-Source Sticky Notes Program For Your Desktop/USB Flash Drive [Windows] PNotes - Fast, Lightweight, Open-Source Sticky Notes Program For Your Desktop/USB Flash Drive [Windows] Read More , a sticky notes program for Windows that I feel, packs more features than most other sticky notes programs. I have found the cross-platform and open-source KeepNote project to be a very good OneNote alternative in that it integrates all notes in an Explorer-like shell so you can see and navigate through your notes more efficiently. So if you’re, say, reviewing notes for a class, you can easily view and switch back and forth between notes using the explorer. It, however, takes the word processor approach to notes, and doesn’t create free-form notes like OneNote. For free-form notes, the open-source Jarnal Take Notes & Annotate PDFs The Easy Way With Jarnal [Cross-Platform] Take Notes & Annotate PDFs The Easy Way With Jarnal [Cross-Platform] Read More does a really good job, and it lets you annotate PDF files as well! Here are the two major reasons you should check out KeepNote. Having notes in HTML format means you can view them in any browser, and have lots of ways you can format the text with indentations, fonts, pictures, and there will be no loss of those features in the end files. As soon as you create a notebook, which turns out to be folders in the main location you choose (which you can set in the Preferences), you can create pages for notes. As you can see, the titles for pages are on the top right panel, as well as on the left panel. You can start typing away in the bottom panel, which is the word processor area. 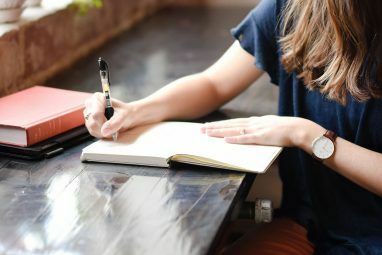 What’s also enticing about KeepNote is that you don’t have to rely on a third-party application to jot down your notes as everything is kept in your hard drive. Backing up isn’t hard from the application either. You get the options to export a single notebook or everything in a zipped tarball (.tar.gz) file, and restore your backups easily. One feature I really wish Evernote had (besides better synchronization since I sometimes had issues syncing notes), is a way to organize folders or tags. I had to use names like “recipes/asian” and “recipes/pastas” in order to see the folders sorted. So then, I decided Evernote was a great idea, but it wasn’t for me. I’d just have to use Wordpad to create rich-text files and folders in Windows Explorer to see an outline, which became cumbersome when I wanted to see where I had talked about such term and search through my older files. KeepNote allows for instant organization as there is a built-in file browser with user-designated folder and note hierarchy. You can link notes together just like you do in a wiki Store Your Thoughts, Ideas, Notes, ToDo's etc. 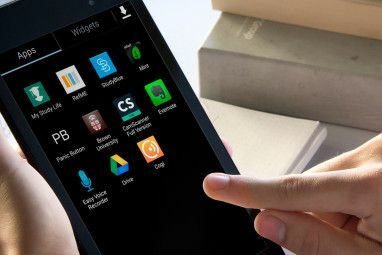 on WikiPad Store Your Thoughts, Ideas, Notes, ToDo's etc. on WikiPad Read More , insert images, take and insert screenshots. Taking screenshots is always more efficient if you have keyboard shortcuts, which KeepNote aces as it provides shortcuts for nearly all the editing options. Now, for the things I wish this app had would be to facilitate the copying and pasting of text. Most online apps have bookmarklets to immediately transfer over selected text and images, and the only desktop applications I have seen that do this are CintaNotes How To Sync Notes & ToDo's Across Your PCs and Mobiles with CintaNotes How To Sync Notes & ToDo's Across Your PCs and Mobiles with CintaNotes Read More and QuotePad. 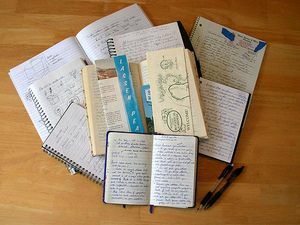 If you’re looking for more note-taking applications, check out this post on multi-platform notebooks 5 Great Multi-Platform Tools to Take Quick Notes Anywhere 5 Great Multi-Platform Tools to Take Quick Notes Anywhere Read More . What’s your favorite note-taking application? Also do you know of any other alternatives to OneNote? Explore more about: Evernote, Note-Taking Apps, Organization Software. Workflowy.com is simple and efficient! Currently I am using 'portable' evernote from old version and not doing any synchronisation for my work related. I also use cintanote for my personal one, since I found that later & give it a try. I really looking for this kind of application that can be update by couple users (multi-user) so I can update together with my colleagues, but yet still simple (and importantly have to be portable). Had tried couple others but no luck so far. I've been using keepnote for a few months and I like it so far. You can keep your notes synched across multiple computers by using dropbox. Just save your notebook to a folder in your dropbox and then on another computer with dropbox install keepnote and open the notebook you saved in dropbox. Hmm, this seems like a great app. Last year, one thing that had kept me from moving to linux, believe it or not, was the note-taking app. I use KeyNote (http://code.google.com/p/keyno... religiously and hadn't so far found a note-taking app that keeps that tree structure. I find that it keeps my thoughts more organised. I started using Evernote more and more, but it still doesn't give me that tree-structure I so much crave! Great find! Hmm, this seems like a great app. Last year, one thing that had kept me from moving to linux, believe it or not, was the note-taking app. I use KeyNote (http://code.google.com/p/keynote-nf/) religiously and hadn't so far found a note-taking app that keeps that tree structure. I find that it keeps my thoughts more organised. I started using Evernote more and more, but it still doesn't give me that tree-structure I so much crave! Great find!